The Swine Health Information Center says the first case of African Swine Fever was found in China last Friday. 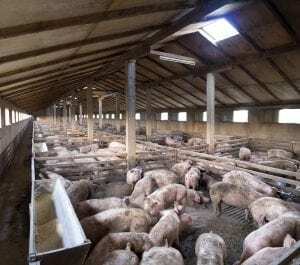 Farm Journal’s Pork Network says the outbreak was located in the northeast part of the country, which is a swine-dense area just 130 miles from the North Korean border. The infection was found on a small farm with 383 pigs. 47 pigs died as a direct result of the disease. The China Animal Health and Epidemiology Center confirmed those numbers last week. The Chinese Center for Disease Control says it was a Level 2 outbreak and “it’s been contained thanks to the slaughter of close to 1,000 pigs.” China is located thousands of miles from any known case of African Swine Fever, so how it got into China is unknown.